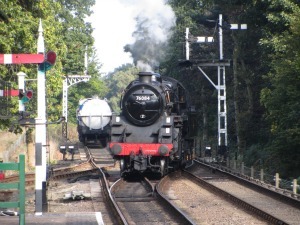 Cromer UK – It's not all it seems! 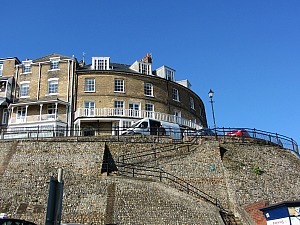 Cromer UK is the architypal typical tourist coastal town, or so you may think. It’s a town that packs a punch, as the saying goes. It’s perched on the top of the cliffs on the North Norfolk Coast, and is best known for its sweet Cromer Crabs, its Pier and its blue flag beach. Back in the days of the Domesday book, Cromer was actually part of a large parish called Shipden. This village was unfortunately ravaged by storms in the time of Henry IV and eventually disappeared. The church of Shipden fell into the sea, as did a whole host of houses (so much for modern climate change destroying our coastline! ), and a new settlement was built a bit further inland – Cromer. But back in the 1800’s, Cromer, as well as Sheringham and Mundesley were little known! How times have changed. 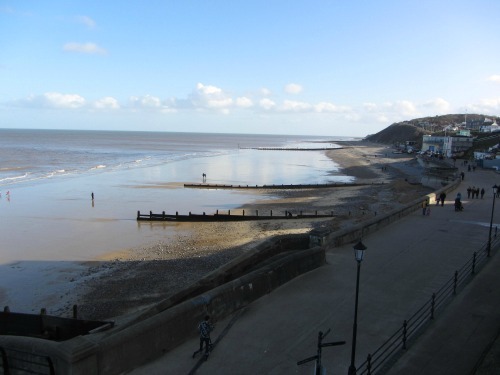 And interestingly, in the 1920’s Cromer was adored for its “healthy and attractive situation on a cliff facing the north and was skirted by a long and firm expanse of yellow sands”. That still stands today, with its Blue Flag beach and the cliffs heading towards Overstrand. And many people were sent to Cromer on medical grounds as it was held in high repute for its air, known as dry and bracing (!) which was known to help in cases of rheumatism and chest and throat complaints! And finally, it was suggested that “the dry and bracing air of Cromer was of particular benefit to those who were suffering from overwork and diseases caused by overwork”. 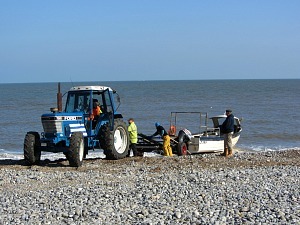 Imagine being told today to take yourself off to Cromer because you were overworked! Maybe we should take this example and move away from our computers and smartphones and take in the fresh air on the beach of Cromer or a walk that can be taken from the surrounding areas of the town. 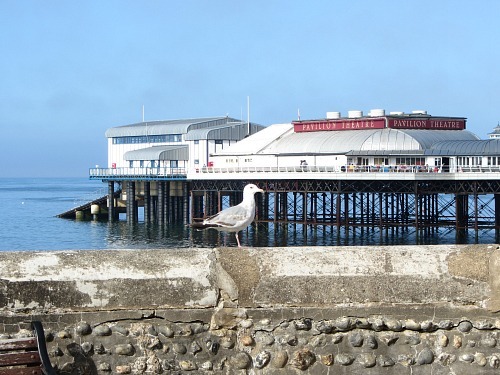 There are probably two things that visitors can tell you about Cromer nowadays, one is that it has a Pier, the other is that it’s famous for its Cromer Crab, known throughout the country. There’s been a pier in Cromer since 1391, but over the years the poor thing has had its fair share of damage. In 1949, 1953, 1976 and 1978 it was storm damaged. In 1993 a 100 ton rig crushed into the Pier cutting off the theatre and lifeboat station from the land. There’s more after 1993 as well! I've written a dedicated page about Cromer Pier here. Crabbing is very popular from the Pier, but takes nerves of steel to bring those pesky little creatures all the way from the sea up to the railings of the pier without dropping them! But one thing I will say about the Pier is that it’s definitely worth walking to the far end of it and looking back at the view, because it gives you a real sense of what Victorian Cromer once must have been like. 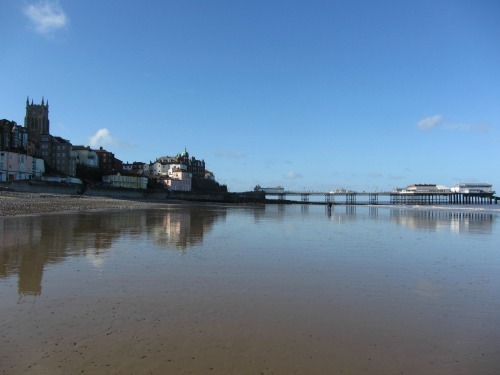 One of the most important things about Cromer is its beach! It’s definitely a family beach, with Blue Flag Status. As was described back in the 1920’s, golden swathes of sand, but only at low tide! At high tide the beach is shingle. But once the tide goes out, you’ll be left with wonderful hard sand, great for building sand castles. And just on the promenade, if your children so desire, there is a small fun fair during the summer months. Again, you can read even more detail about Cromer beach here. 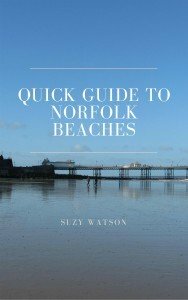 And if you want to find out which beach is suitable for you, you can see all the Norfolk beaches described in detail in the Norfolk Beaches Handbook. 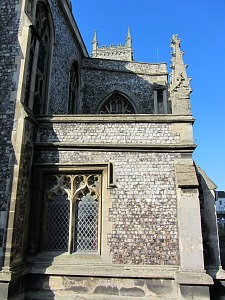 This is a fascinating church that can be seen from whichever way you approach Cromer. 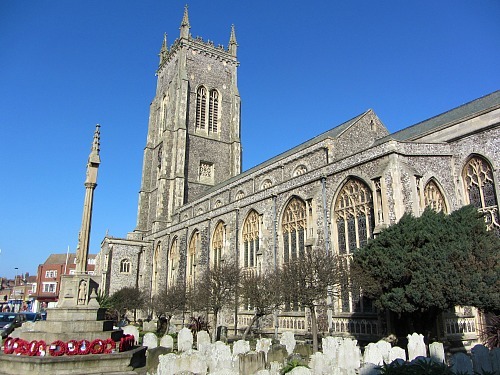 It stands resplendent on the horizon, as it has the tallest church tower in Norfolk. It’s also the oldest building in the town and has 8 bells, 6 that were installed in 1874, these have now been restored, and 2 which are fairly new. During the WWII the tower was used for fire spotting – a fire spotter would contact the Fire and Civil Defence Services to alert them of a fire they had spotted from the tower. During the summer months, from May-October, you can climb the tower and get the most amazing views over Cromer and beyond. The tower is 50 meters high and has 150 stone spiral steps to reach the top! I’ve put a link here for your see more about it, you can see how much it costs to go up the tower, and what views you're likely to be able to see, and so on. Understandably, they ask for a small donation to climb the tower of £1.50 for adults and 50p for children with under fives going free. It was believed to have been built when the original church at Shipden was about to fall into the sea. The parishoners wanted a larger church away from the coast. This was granted, and consequently built. 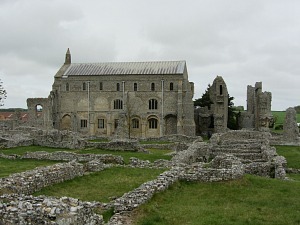 The church today stands on the foundations of what is believed to be the floor of an earlier church, but it seems history doesn’t relate too much. The lifeboats play a hugely important role for Cromer and its residents. Many of locals are involved with the lifeboats, and have followed in the footsteps of their fathers, grandfathers and beyond. It is so important to Cromer that there is even the Henry Blogg Museum, situated right on the beach, dedicated to the life of this man, the most decorated RNLI lifeboat many in history. 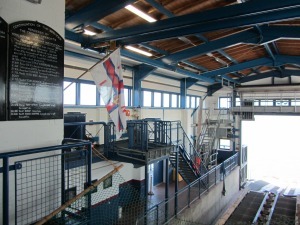 There’s a whole page here on the RNLI Henry Blogg Museum which you can visit. 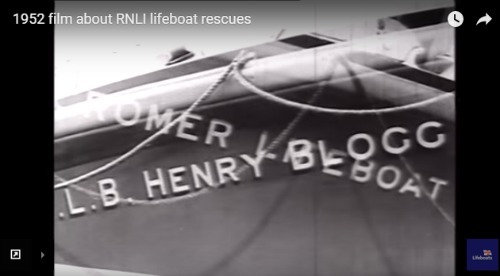 In the video clip above, found in the RNLI archives, you can see what it was like to work on a lifeboat in the 1950’s, and to see The Henry Blogg lifeboat in action in Cromer, in the summer of 1952 to rescue a little boy. Its a fascinating clip. 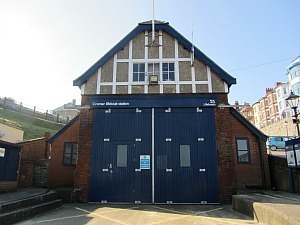 There are two lifeboat stations in Cromer, one is for the Inshore lifeboat which has a ramp down to the beach and is used for closer to shore operations as it’s an inflatable lifeboat and so better suited to shallow waters. This station was originally built in 1902, but you can’t visit this one. 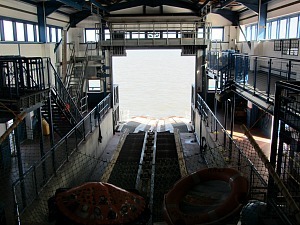 The other station is at the end of the Pier and is one that you can go and visit, so long as the boat isn’t out on an emergency (no disabled access). 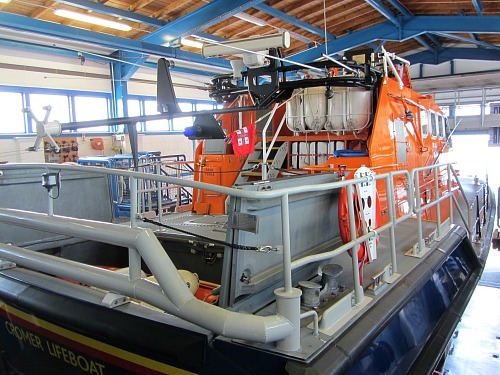 It’s open all year and houses the all-weather Tamar class lifeboat, The Lester. Cromer had a very strong fishing community in years gone by. It still does, but the fishing has dwindled as have the boats that now leave the shores on daily basis which is sad. There are only about 20 boats looking after about 200 crab pots, so it’s not huge by any means. 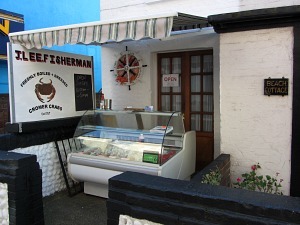 Cromer is most famous for its brown Cromer Crabs and Lobster which come in everyday with the fishermen. More often than not, you can see them hauling their boats up onto the sand, tractors waiting to bring the vessels closer to shore. 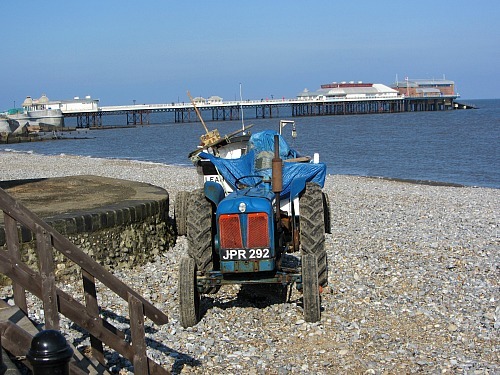 There is no quay or harbour at Cromer, hence the use of the tractors and trailers. The reason that the Cromer Crab is so well known is that it they usually have more white meat than brown and this is generally sweeter than other crabs elsewhere. As part of the very important fishing industry in this part of Norfolk, and to help promote it, an exciting Crab and Lobster Festival is held, usually around the third weekend in May. 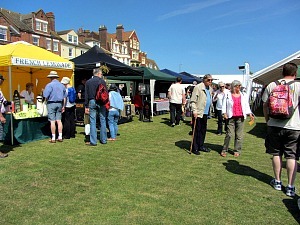 This is a very jolly festival which celebrates the rich fishing heritage of the local towns of Cromer UK and Sheringham, as well as promoting local produce on the stalls that you can visit. 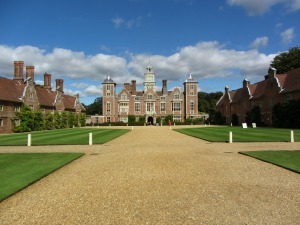 It’s shared between the two towns and is held just outside the real tourist season and is another way to attract more visitors to Norfolk. 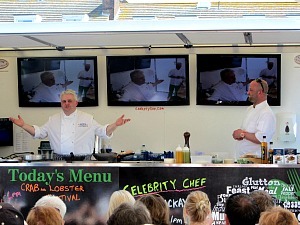 Fishermen will be showing you how they mend their nets, crab sandwiches are on offer, as well as many other delicious local produce, you can even learn how to dress crabs, and there is a constant stream of fun and amusing cookery demonstrations that go on all day. You can read more about the festival here. 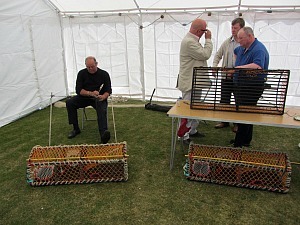 There’s also street entertainment, the World Pier Crabbing competition and sea themed events on at the local museums. It’s a really vibrant atmosphere and involves a huge amount of local cafes and restaurants, who also put on special menus promoting the fishing industry and local produce. Money raised goes to local charities and around 20,000 people attend, so it’s a very popular event, and well worth visiting the area when this is on. This is truly the PROPER place to come to see and eat your Cromer Crabs! You’ll see the imposing Hotel de Paris, towering over the Pier, and Victorian villas dotted along the gangway, and the crescent of houses overlooking the sea. It’s easy to miss the beautiful buildings as you spend most of the time looking at the beach and Pier. The Hotel de Paris sounds very decadent and it was back in the days of the Victorians. If you stand in front of the main entrance, you can really imagine how the carriages would have swept up to the front and dropped off their passengers. Glorious views over the North Sea and the Pier, and an imposing building looking back from the Pier. It was built in 1820 and converted into a hotel in 1830 and then extensively remodelled by George Skipper, local architect, in 1895. 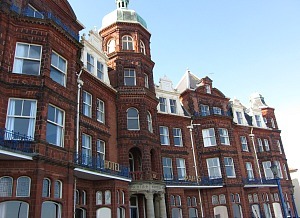 George Skipper also designed the Cliftonville Hotel in Cromer as well as a few well known buildings in Norwich such as the Royal Arcade, Jarrolds and The Norwich Union building. The Town Hall, which was built in 1890, was also designed by George Skipper. This building now stands empty. He also designed Hunstanton Town Hall 8 years later. 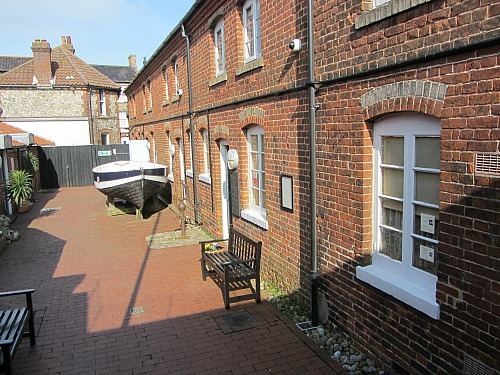 It is set in eight lovingly restored fishermen’s cottages, although you’d never believe it from the outside of the Museum. 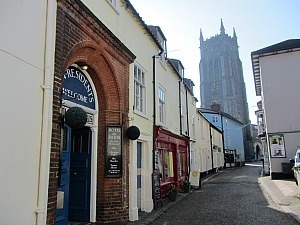 Just alongside Cromer Church, this small museum fits in much about the history of Cromer and also how important the fishing trade was, and still is, to Cromer. You will also be able to see a few bones from the famous West Runton Mammoth! It’s a very well curated museum and is definitely worth a visit if you have an hour or two to spare. 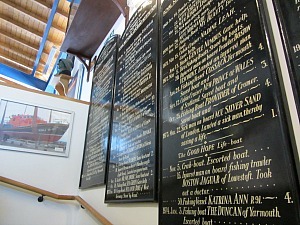 The other museum in Cromer is the Henry Blogg Museum, dedicated to the most decorated RNLI lifeboat man in history. 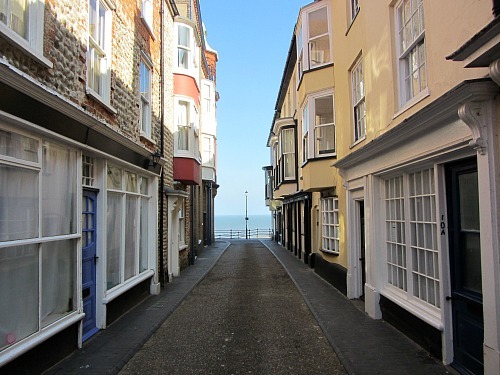 If you love walking and exploring the area, then Cromer is a good place to start. Cromer used to be the official end of the Norfolk Coast Path, but as at the end of 2014, this has now been extended to Sea Palling. So one walk you could do would be a circular walk from the outskirts of Cromer along the old part of the Norfolk Coast Path which will take you up to the Roman Camp at Beeston Regis and around and back, into East Runton and down to Cromer. I'll be detailing this walk very shortly. 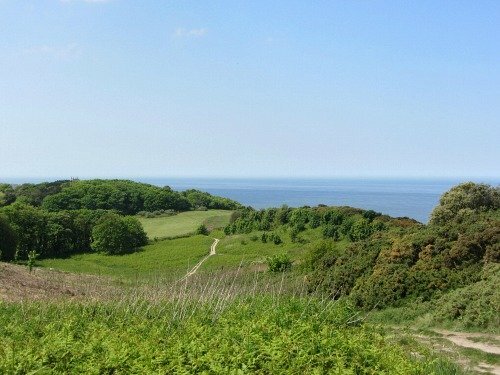 Or right on the doorstep of Cromer and the cliffs is the circular lighthouse walk. 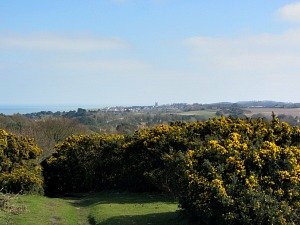 This takes you up onto the cliffs and gives you incredible views over the wooded cliff face and the heath and gorse to the sea and beyond. You can walk all the way to Overstrand on this walk. This was why the Victorians were sent to Cromer! 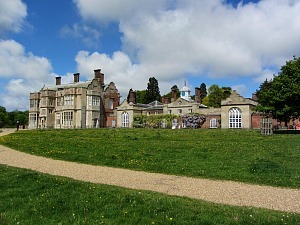 You could also visit Felbrigg Hall which is a very short car journey away, and has some lovely wooded walks around this Jacobean Historic House. 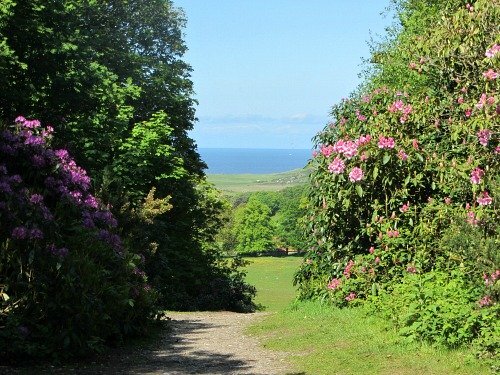 And finally, don’t forget Sheringham Park which has some beautiful trails, with more incredible views of the coast.